Kirstjen Nielsen, the U.S. Homeland Security Secretary who oversaw some of the controversial migration policies of Donald Trump‘s administration, has resigned. 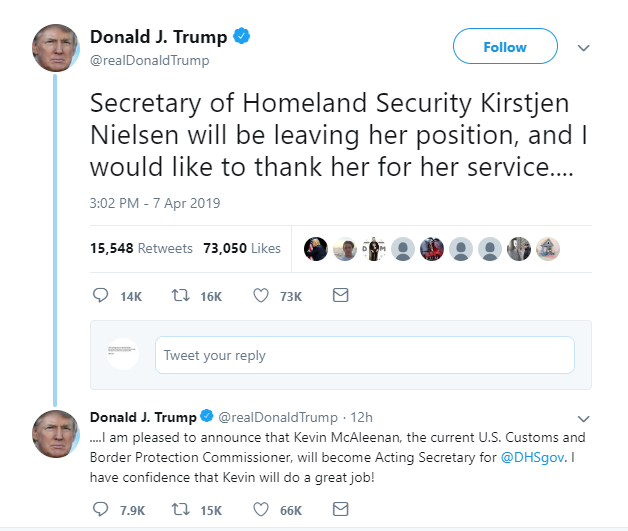 Trump tweeted that Nielsen, who became the face of the administration’s zero tolerance for immigration, will be leaving the administration and will be replaced by Kevin McAleenan, the current U.S. Customs, and Border Protection Commissioner. 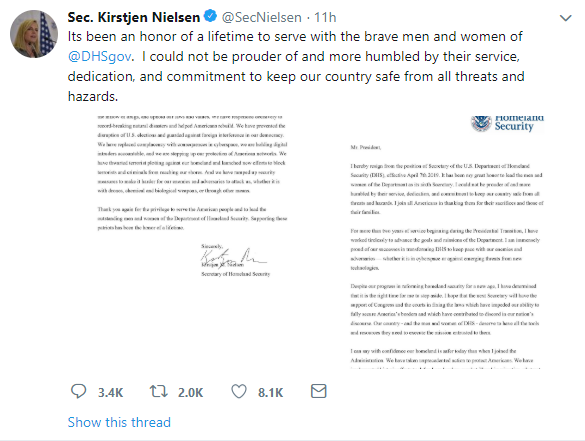 She gave no reason for her departure in her resignation letter, although she said this was the right time for her to step aside and that the US is a safer place today than when she joined the administration. 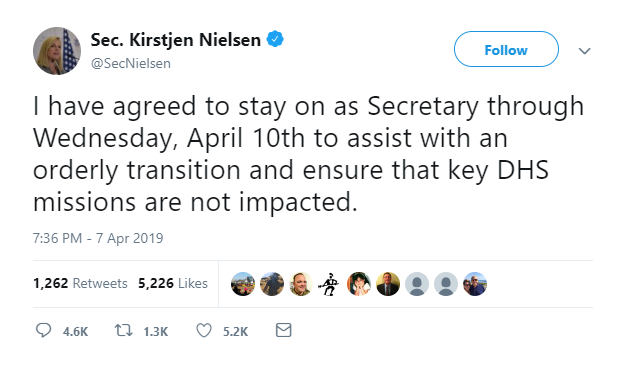 In a later tweet, she relayed that she has agreed to stay on as secretary till Wednesday the 10th of April, to ensure a smooth transition. The post U.S. 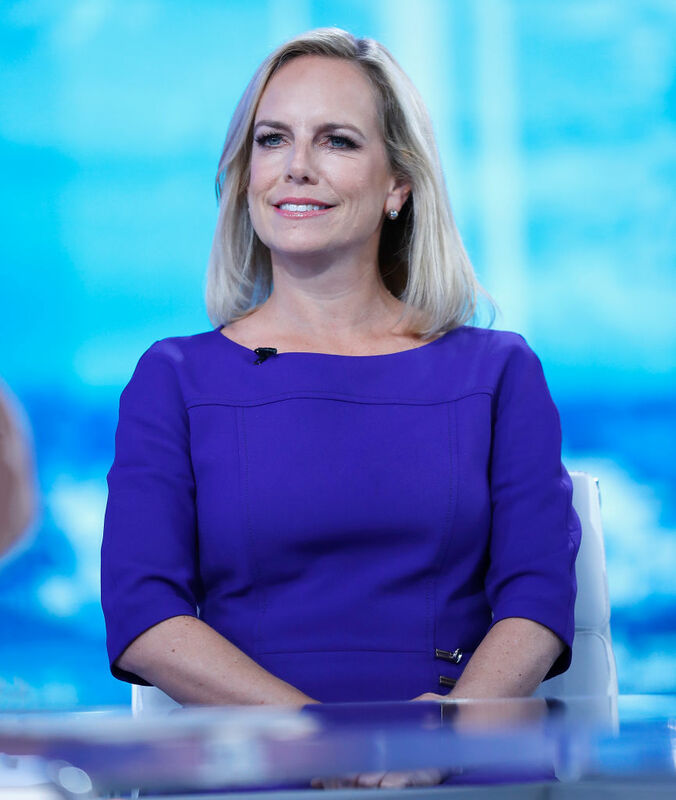 Homeland Security Secretary Kirstjen Nielsen Resigns appeared first on BellaNaija - Showcasing Africa to the world. Read today!.